It's time to pull out the Phillies shirseys from the back of the closet as the club announced plans on Tuesday to celebrate three of the franchise's greatest stars since the turn of the millennium. Jimmy Rollins, Chase Utley, and Ryan Howard will each be honored with a retirement ceremony before a game in 2019. Rollins' celebration will take place Saturday night, May 4, when the Phillies host the Nationals at 7:05. 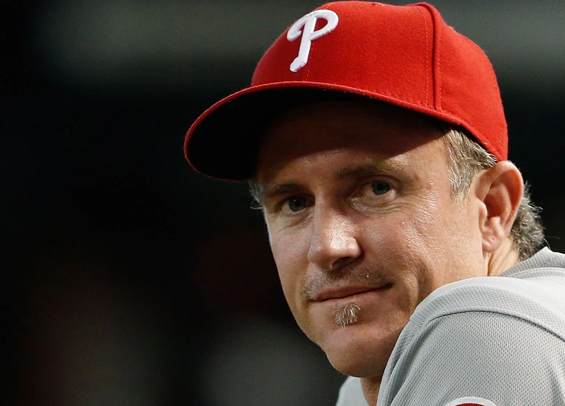 Howard's ceremony will be Sunday, July 14, when the Phils face the Nationals at 1:05. All three players were key contributors to the Phillies success between 2007 and 2011, bringing a World Series to Philadelphia in 2008. Fans interested in attending all three games can purchase a Phillies Legends Six Game Pack to guarantee tickets to these games before individual game tickets go on sale in February.